Own your own mountain playground on the Grand Mesa Mountain! 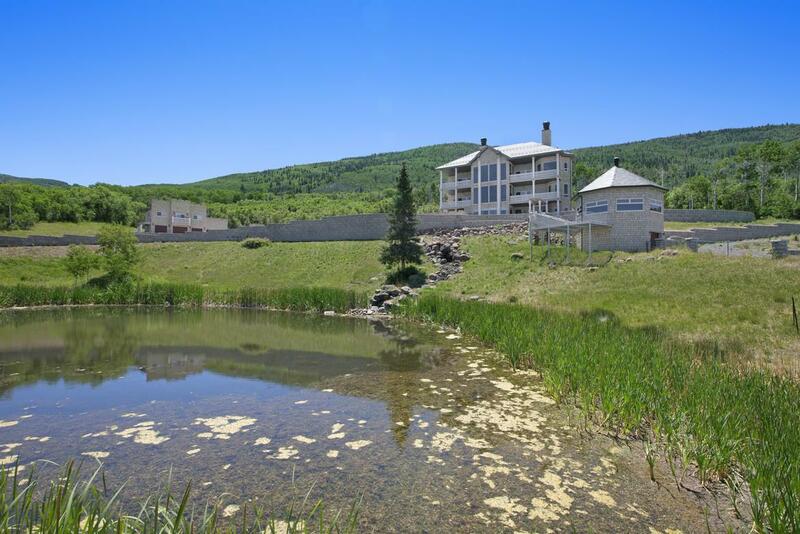 Just moments from Powerhorn Ski Resort, this property will entertain your every need with over 200 acres, a 6700 SF main house, an 1100 SF caretaker or guest house, a 532 SF BBQ house/entertainment room and so much more! The main house, boasting of baroque decor, offers tantalizing views of Powerhorn Ski Resort with an accommodating floorplan. The main level offers a large open area with casual and formal dining, gourmet kitchen, and living and sitting areas. Special features include but not limited to media room, radiant in floor heat, tankless water heater, surround sound, sauna, hydraulic elevator, 2 fireplaces, wine room and concrete vault, patios on every level, ICF Construction, 2 ponds, active stream, water rights,Special features include but not limited to media room, radiant in floor heat, tankless water heater, surround sound, sauna, hydraulic elevator, 2 fireplaces, wine room and concrete vault, patios on every level, ICF Construction, 2 ponds, active stream, water rights and so much more! Come play with the wildlife and entertain your guests!